I'm so glad you found a product that helps your hands. I can't imagine dealing with eczema, I am a lotion freak because I hate dry skin. In the winter I need something a little stronger occasionally, too. 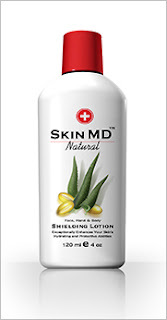 i would like to try skin md because it's good for dry skin. I'd like to try the Skin MD because ever since before i had my son my hands began to get dry as well as my heels. Allow me to quickly introduce myself. My name’s Tia and I’m the Community Manager at Skin MD Natural. On December 31, 2007 you wrote a wonderful review on Skin MD and I never had a chance to thank you.